Broken appliances are a major inconvenience any time of the year, but during the holidays, they’re the last thing you want to deal with. 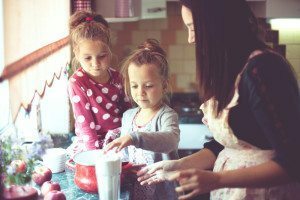 A malfunctioning stove or refrigerator could really throw a wrench into your celebrations and family gatherings. Before the busy holiday season hits, take time to ensure that all of your appliances are in peak condition, and if any are lacking, take action now! Regular maintenance can help prevent unexpected failures and costly repairs, possibly saving you from dealing with broken appliances at the worst possible time. Routine care can also increase the efficiency of your appliances, saving you money all year long. Cleaning is certainly an important and effective maintenance task that you can handle. However, you can take some additional steps yourself to keep your appliances performing at optimal levels. For the refrigerator, you simply need to vacuum the condenser coils and do a periodic temperature check. Your oven also needs an occasional temperature check, and be sure to remove and clean the knobs, burners and racks, too. For your dishwasher, periodically inspect and clean the filter and pump screen and sanitize the machine. Your laundry appliances also can use some preventive care, so don’t forget to remove and clean the filters, screens and dispensers. As you take care of your appliance maintenance tasks, keep an eye out for any damage or minor problems. You may need to change the hoses on your washer or the belts in your dryer, for example. Or, you could find that your refrigerator gasket is loose or cracked, or that an oven indicator light is malfunctioning. While these may not be major issues today, they could turn into big problems at any time. By taking care of these minor repairs now, you can avoid the headache and expense of dealing with broken appliances and inconvenient emergency repair calls. Just imagine it: Your oven stops working just hours before out-of-town guests are due to arrive for a holiday dinner. Or, you open your refrigerator to store the hors d’oeuvres and desserts for the evening’s celebration and discover that it isn’t keeping food cold. Broken appliances can be a nightmare at times like these. Be ready for the holidays and save yourself the stress of dealing with broken appliances by scheduling professional maintenance and repairs now. Contact us now for an appointment, before the hectic rush of this busy season. You’ll give yourself the peace of mind of knowing that at least your appliances will be well-prepared for the holidays! Would you like to learn more tips for keeping your appliances working their best? 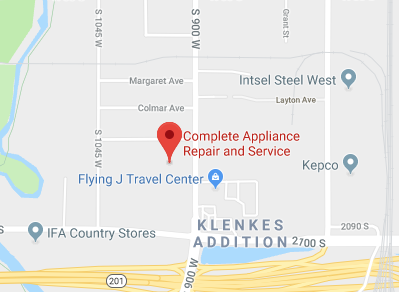 Contact the experienced professionals at Complete Appliance Repair, serving Kaysville and the surrounding Salt Lake City area, and save yourself from the worry and hassle of broken appliances. This entry was posted in Blog and tagged appliance maintenance, Broken appliances, fast appliance repair on December 7, 2015 by admin.